The prop in this pic was covered in prop glop and submerged in the intracoastal waterway for eight months. The brown areas are barnacles! 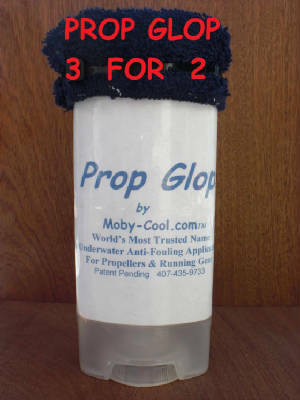 Prop Glop is specially formulated to be applied underwater. To do this the inventors selected the products most efficient at displacing the surface water with a layer of protective agents. 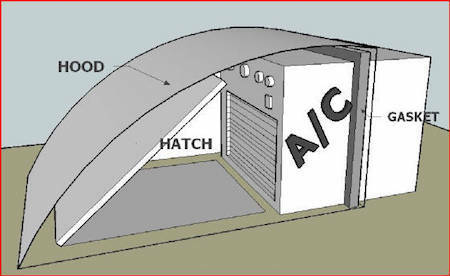 Once this layer is in place it reduces fouling of a wide variety of living organisms including the many species of free floating juvenoid barnacle larvae. The common barnacle has two larvae stages that look like giant fleas. These float in the water until they find a suitable place to attach themselves, like props ,rudders, and trim tabs. They then secrete a substance that bonds them in perpetuity to their new, lifelong home. Scientists report that once a suitable home is found the likelihood of other, barnacles also finding that same home is dramatically increased. So the science team at Moby-Cool set out to make these important surfaces the least attractive places for a barnacle to want to live on. 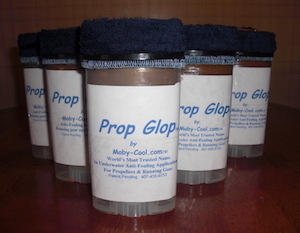 Prop Glop is a non toxic yet very powerful product that has been shown to be a significant and effective barnacle antifouling agent when used in a conscientiously applied program of marine underwater maintainance by both boat owners and diving professionals. 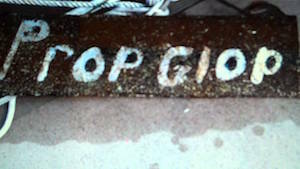 This is an enviormentally safe, anti-fouling marine product. 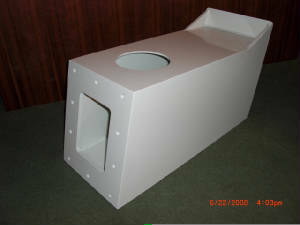 Marine Electrical Switch Plate Dashboard blanks, boat dashboard switch plates and marine electrical switches has never been easier or more affordable. 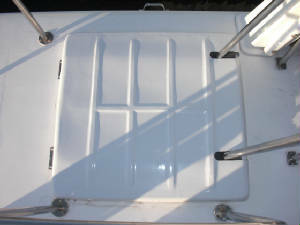 The Moby-Cool™ Marine Electrical Switch Plate™ is a black on white marine grade plastic that can be drilled to the boater’s needs and specifications. 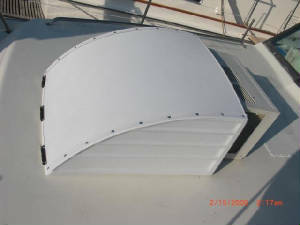 These are not predrilled leaving it possible for the installer to lay out the dash plate to any thing the captain needs. Available in 4 sizes. 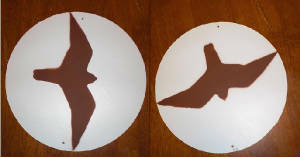 Note to users: Use a hole saw for large openings Use a forstner bit for small holes for perfect results every time. $5.00 Shipping and Handling. 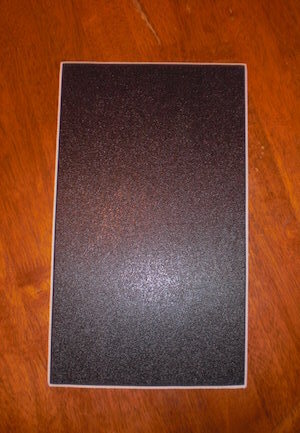 22" x 28" 24" x 28" 25" x 28" 26" x 28" 27" x 28" 28" x 28"